This safari takes you to Murchison Falls NP. Expect the roaring rapids of the Murchison, the rolling plains of Uganda’s largest National Park with the abundance of wildlife and bird species including the elusive shoebill stork. From Murchison, proceed to Kidepo Valley NP. Kidepo is Uganda’s most pristine, unexplored game reserve teaming with the abundance of wildlife. While in Kidepo, you get the true meaning of being in the African jungle. Exit Kidepo and return to Entebbe for your flight out. 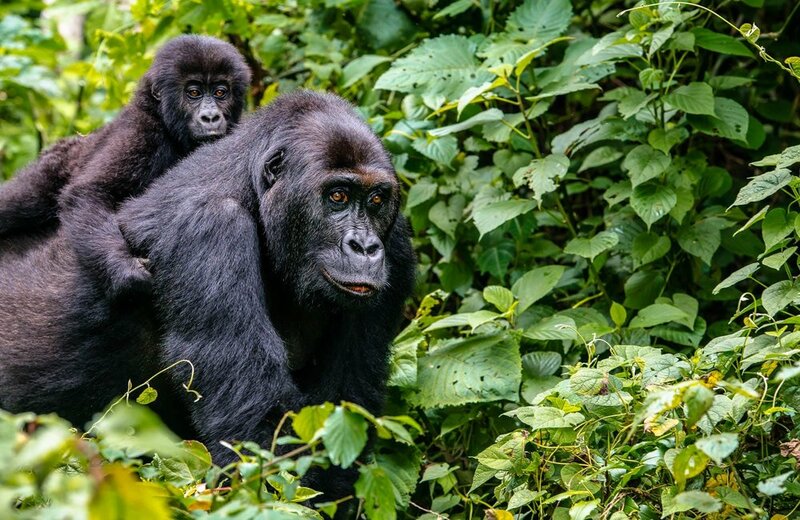 Let Friendly Gorillas Safaris take you on this remarkable safari into the Pearl of Africa and the Fond Memory will be unforgettable. Fun: Launch trip to the base of the falls plus a hike (if you like) to the top of the falls, game drive. Bragging Right: Being at top of the Murchison falls, exploring the pristine Kidepo NP, touring the Pearl of Africa. Your safari starts from Entebbe Airport where your guide/driver will pick you and hit the road to Murchison Falls NP. The highlights of this park include; the roaring rapids of the Murchison, the rolling plains of Uganda’s largest National Park where you will have the chance of viewing lions, giraffes, hartebeest, buffalo, and elephants. Then surely you will be fascinated by the concentration of hippos and the Nile crocodiles here. For birders, Murchison Falls boasts 450 bird species including the elusive shoebill stork, dwarf king fisher, the white-thigh hornbill, and the Goliath heron among others. En route, make a detour to Zziwa Rhino sanctuary for your first Big 5 experience where you will have an hour of rhino tracking. Another stop will be in Masindi in order to enjoy your lunch. Continue to the park and check in to your accommodation to relax for the Evening. Day 2: Murchison game drive and launch trip to the base of the falls. After an early breakfast, tour the Northern section of Murchison with a high concentration of savannah wildlife. Enjoy game viewing and photography of elephants, buffalos, waterbucks, giraffes, Uganda kob and lions, the leopards (if you are lucky) plus a variety of bird species. Return to your accommodation for lunch as you prepare for a 3hour boat trip to the base of the falls. This trip is said to be the highlight of the safari in Murchison falls since it allows you to get up close to the animal species within the water. Cruise past huge hippo pods, crocodiles and numerous aquatic birds adorning the north bank on the way to the mighty waterfalls. You will have the opportunity to take thousands of pictures, so carry your camera with you if you like. Also, proceed for a hike (if you like) to the top of the falls. The hike is a strenuous one but the thrill on reaching the top is unforgettable. Miss it only if you must! You will return to your accommodation for dinner and overnight. Day 3: Exit Murchison and Transfer to Kidepo Valley NP. If you ever thought of being in the real wild alone, then Kidepo is the perfect place to go. Kidepo Valley NP is Uganda’s most pristine, unexplored game reserve teaming with abundance of wildlife. While here, you get the true meaning of being in the African jungle. It is also in Kidepo Valley that you will have the opportunity to get the insight about the Karamojong Nomadic Pastoralist of Uganda. You will have breakfast at the accommodation and then hit the road for Kidepo. This will be a long drive but you will be treated with some spectacular scenery along the drive that will make the drive even seem shorter. You will reach and do little but check into your accommodation, relax, enjoy your dinner plus the overnight rest. Day 4: Kidepo Game drive and community visit. Have breakfast then set off to explore Kidepo Valley National Park. You will go for game sighting in the Narus Valley in the south of the park. This is the section of Kidepo that has savannah grasslands mixed with acacia woodland. It is also the area of the park with permanent water sources throughout the year and for that matter most of the animals are found in this part of the park. During the hot afternoons, many animals collect around water sources. Expect to see large herds of Buffaloes, lots of Zebras, and antelope species and surely the lions. You will return to the accommodation for lunch and a brief repose. Later, undertake an optional community visit where you will have the opportunity to interact with the local people – the Karamojong. You will spend a wonderful afternoon/evening with the Karamojong people and have an insight of their way of life and beliefs. At the end of the day, you will retire to your accommodation where you will enjoy your dinner and overnight rest. Day 5: Another game drive in Kidepo and relaxation at the accommodation. Enjoy your breakfast then embark on yet another game drive into the park but this time head to Kidepo Valley in the northern area. The biggest highlight in this area is the famous sand bed of River Kidepo that is a seasonal river that does not flow during the long dry spells. It is lined with lush Borassus palms, creating a sight akin to an oasis in a desert. Enjoy the sights and sounds of birds in the Borassus palm. Be on the look for ostriches, leopard (if you are lucky) and tortoises along the way. Return for lunch at your accommodation and thereafter spend the afternoon relaxing at the accommodation (probably enjoying the sounds and sight of the area). Day 6: Depart Kidepo for your flight out in Entebbe Airport. Have your breakfast and set off for the return to Entebbe Airport. This will be a long drive but you will be treated with some spectacular scenery sightings en route. Lunch will be en route. You will reach Entebbe late afternoon/evening for your flight out. 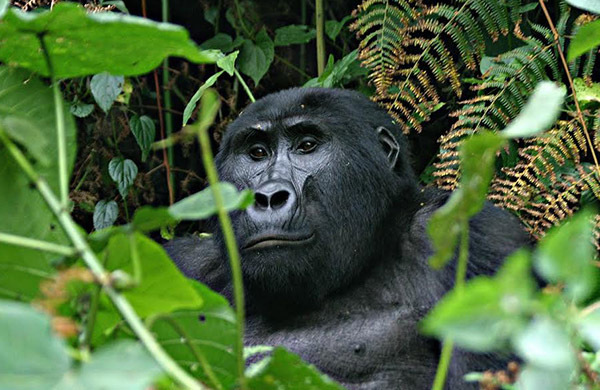 We hope to see you (or any referral) when next, you visit and thanks for choosing Friendly Gorillas Safaris!